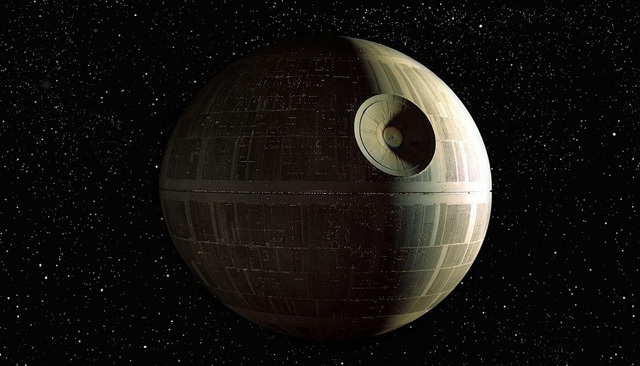 Star Wars: How Much Would It Cost To Build A Death Star? | Warped Factor - Words in the Key of Geek. Star Wars: How Much Would It Cost To Build A Death Star? With Rogue One just around the corner, our friends at Twizzle have put together a great visual guide to building your own Death Star. Arriving in cinemas this December, Rogue One: A Star Wars Story is set prior to the events of Episode IV: A New Hope. In the first Star Wars spin-off movie the Rebel Alliance recruits Jyn Erso (Felicity Jones) to work with Cassian Andor (Diego Luna) and a team to steal the Death Star plans. But, have you ever fancied building your own Death Star? Surely that would cost a fair bit? Have you ever done the math?